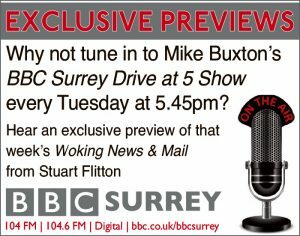 THEY thought it was all over… and now it finally is as Woking Football Club capped their 125th year with a glamorous Anniversary Dinner. 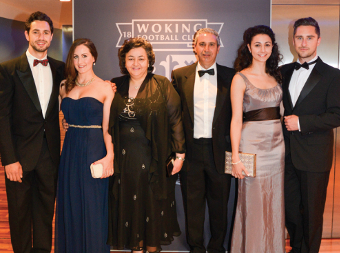 The Cards hailed their milestone year with a black tie do at the HG Wells Centre on Saturday. 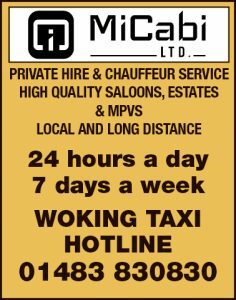 Woking’s season was pretty black and white itself in contrast: a sensational climax propelling the part-time club to the brink of the play-offs. A wall decorated with old and new pictures from the many years of Woking Football Club was designed specifically for the event, which guests could view as they walked into the main function room. They were then greeted with a beautifully designed room with grand flower centre pieces kindly donated by The Chelsea Flower Shop. After dinner the 260 guests were shown a video of old and new footage along with video messages from old players, recent players, celebrities and, of course, supporters. 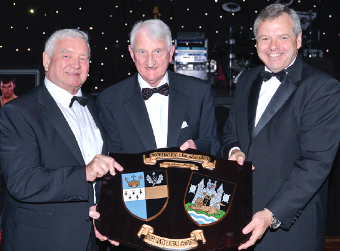 An auction and a raffle took place throughout the night along with speeches from Chairman Mike Smith and Geoff Chapple, the club’s Director of Football. Entertainment was provided by singer Martin Murphy and the Sweet Soul Sensation band, who had everyone singing along and up on the dance floor. But the feast of entertainment did not end there: dance group Butterflies provided show stopping routines complete with feather fans and costumes in the famous cardinal and white of Woking.